Securities and Exchange Board of India- SEBI, in a new petition requested Supreme Court to hear all cases against the Sahara firms and its chief. The Supreme Court on Monday asked Subrata Roy Sahara and two Sahara firms to reply to the contempt petition filed by SEBI. Securities Appellate Tribunal will hear the plea of Sahara against the market regulator SEBI. Will Subrata Roy Sahara have a chance to smile when Securities Appellate Tribunal hears them? MUMBAI: Sahara –SEBI case is yet to get another twist as the pleas of Sahara firms against the market regulator is to be heard by the Securities Appellate Tribunal. SAT will hear four petitions filed by Subrata Roy, the chairman and the managing worker of Sahara, two other Sahara firms and their top executives. Subrata Roy Sahara has pleaded with Securities Appellate Tribunal against the market regulator which has attached the assets of Sahara groups and the top executives. 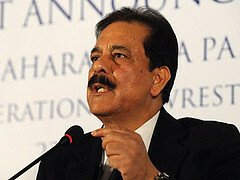 Subrata Roy Sahara was questioned by the Securities and Exchange Board of India on Wednesday. SEBI questioned three other directors of the Sahara group. Subrata Roy Sahara was questioned by SEBI. MUMBAI: On last Wednesday, the Securities Exchange Board of India questioned Subrata Roy Sahara and three other directors. Though the main thrust of the questioning was to find out the details of Sahara assets, no information is out yet. 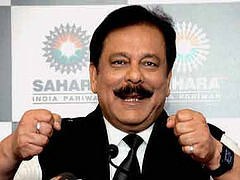 Sahara chief and the other directors have presented the details of their personal assets. A Sahara Group press statement which was released after the SEBI questioning said that Subrata Roy Sahara has only Rs.3 Cr worth personal assets. Earlier the market regulator had warned that they would sell the seized Sahara properties if the Sahara Chief and the directors did not appear in front of them on April 10. The seized properties include Aamby Valley, a posh project near Pune, and some land parcels in Delhi, Gurgaon and Mumbai. Supreme Court discarded Sahara’s appeal to have a review on the refund – case. Supreme Court finding no valuable reasons for a review, dismissed the appeal. Sahara’s appeal, against the SC verdict which orders Sahara firms to refund nearly Rs.25,000 Cr to its investors, was turned down by the Supreme Court of India. Two subsidiary firms of Sahara- Sahara Housing Investment Corporation Ltd (SHICL) as well as Sahara India Real Estate Corporation Ltd (SIRECL) were fined Rs.24000 Cr as they were found guilty of amassing investments. 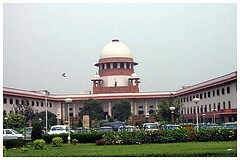 The SC had found that many of the investors’ details lacked clarity.